It was Children’s Day on November 20 (and coincidentally, Vietnamese Teacher Appreciation Day), a perfect time to investigate further into Children’s Rights and Equity Circumstances. This was a unique opportunity for your fourth grader to discuss the rights of a child in-depth and express a point of view. It is important and will help their understanding if they are given situations to discuss and continue to identify different points of view in regards to privileges, securities, and responsibilities. Thus, we hope you will continue the discussions at home. Ask your child about the most important child’s rights to her/him. 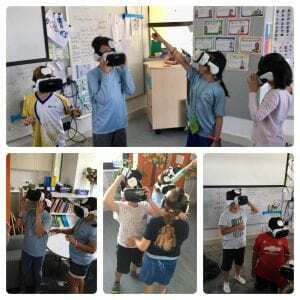 This will broaden their thinking and make them aware that the same situation can be viewed from different perspectives. 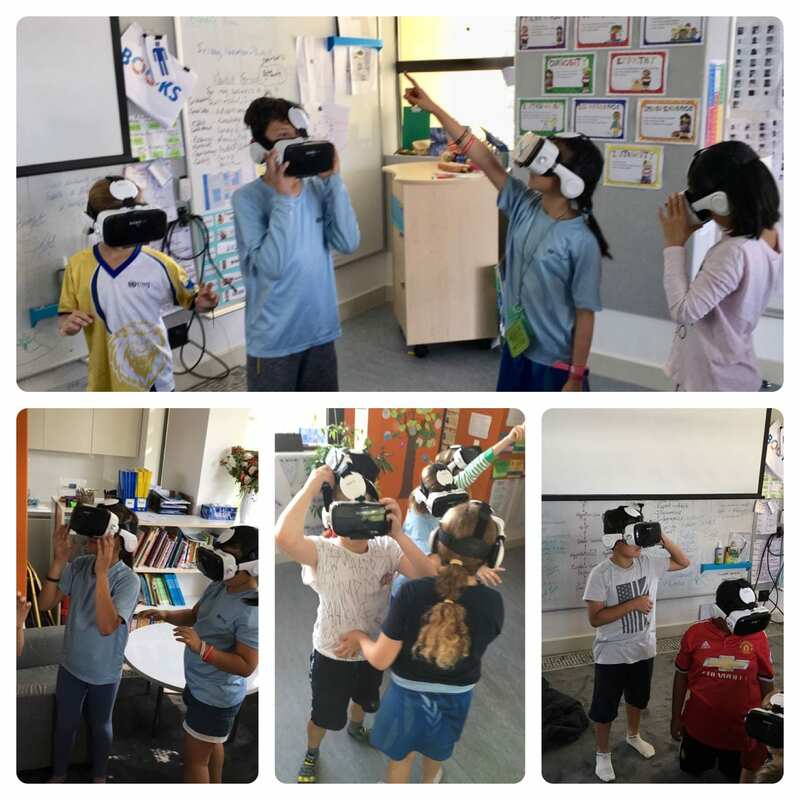 One of the activities that allowed Grade 4C United students to become aware that facts can be interpreted in different ways was a Virtual Reality exploration of Syrian Refugee Camp. As a class, we began to develop an understanding that a variety of opinions on an issue may be valid when we compare points of view. The Za’atari Refugee Camp in Jordan is home to over 80,000 Syrians fleeing war and violence. Half of these are children. Clouds Over Sidra is the story of a 12-year-old girl who has lived there since the summer of 2013. The film follows her to school, to her makeshift tent and even to the football pitch. Cloud over Sidra was initially created to support the United Nations Secretary-General’s call for partnerships to build resilience in vulnerable communities. 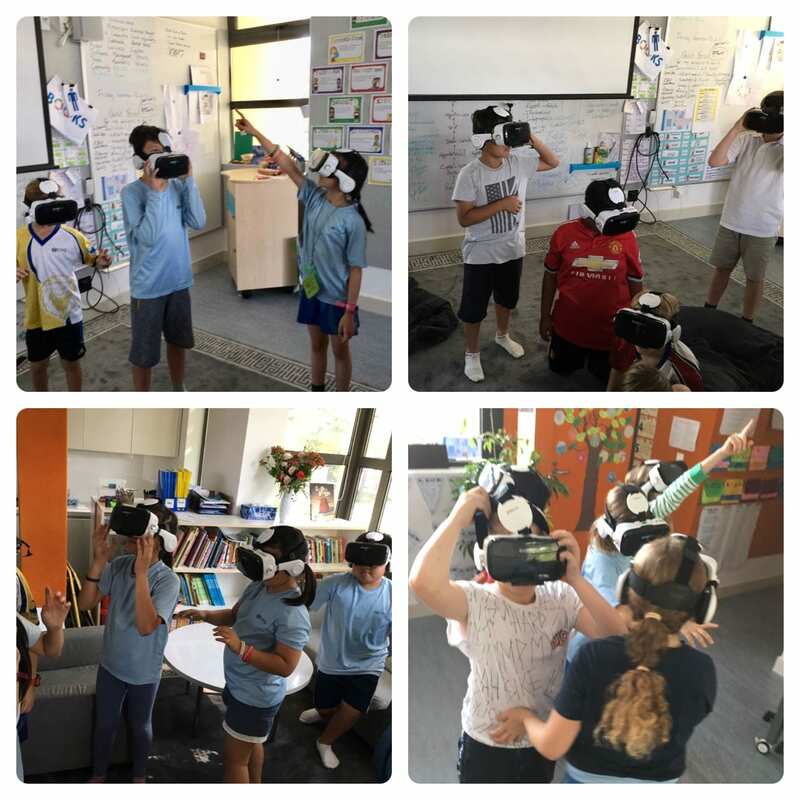 It’s the first-ever film shot in virtual reality for the UN, using the medium to generate greater empathy and new perspectives on people living in conditions of great vulnerability. Its powerful capacity to allow anyone on a global scale experience life within a refugee camp has the ability to inspire the message of hope among not only the millions displaced but also those motivated to act. This will be reinforced all through next week as it is UNIQUELY UNIS HANOI – UN GLOBAL GOALS WEEK. I would like to take this opportunity to give a shout out to Mattias Forsberg, Emil’s dad, who will be coming in on Monday to do workshops with the whole Grade 4 students and teachers on Child’s Rights and Social Enterprises. Here is a game that helps students practice subtracting from 999. They are encouraged to check each player’s work and provide feedback for mistakes. Remember, mistakes are awesome and they make our brain grow!